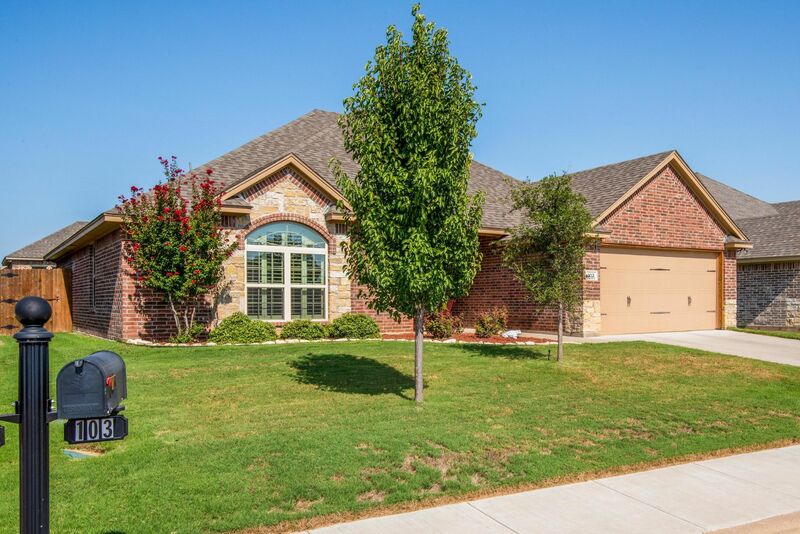 Enjoy the contemporary open floor plan of this luxurious 4 bedroom, 2 full bath home, just minutes to HEB, name brand shopping, popular restaurants, and lovely Lake Granbury. Relax in the spacious living room with stone fireplace. Elevated ceilings, elegant crown molding, and plantation shutters throughout. Kitchen is fashioned with designer back splash, alder cabinets, granite counter tops, decorator lighting, and pantry. Granite counter tops in bathrooms. Grand master bedroom and bath with garden tub and decorator shower tile. Superbly insulated for low cost heating and cooling. TV wiring above mantelpiece. All these wonderful features plus a tree-lined community park with playground. Take a tour today!